Meet Hansen and Cordes, our two newest villages, thoughtfully planned with family life and community in mind. Each village has nearby parks and schools, so you can rest easy knowing that education and recreation are both within easy reach. 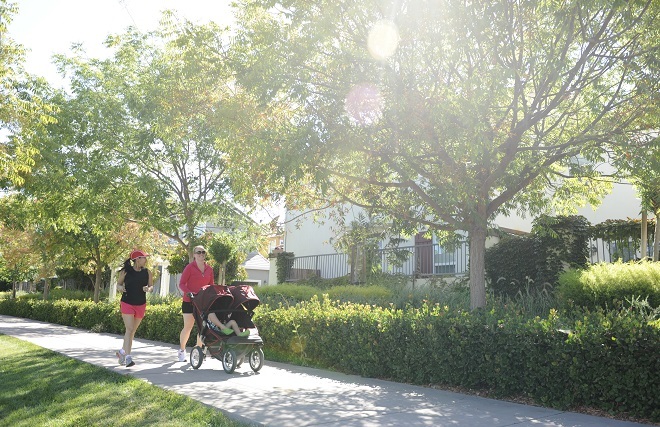 Hansen and Cordes Villages are both home to diverse, close-knit neighborhoods where families can build lasting friendships. Whether from our range of Mountain House clubs, community events, or walks along our many trails, residents truly feel a part of a community. Both villages even have their own nearby park, providing the perfect outdoor space to pick up a ball game after school or have a shaded picnic. You won’t have to think twice about your children’s education when you have access to some of the best schools in the Lammersville Unified School District right inside your community. That’s because, in Mountain House, a great education is just as important to us as it is to you. To deliver on that promise, we designed each village to have its own elementary school only a short distance away! Starting in August 2018, students will begin attending the brand-new Hansen Elementary School. Then, planned in 2021, children will have another new school opening, Cordes Elementary School. These state-of-the-art campuses will provide students with the modern tools they need to succeed. Older students ready to move on to high school don’t have to go far for a world-class education. Located in Cordes Village, Mountain House High School prepares students for their future careers with programs that condition them to be forward-thinking and problem solvers. We are proud of the fact that Mountain House High School was awarded the California School Board Association (CSBA) Golden Bell Award for its Early College Pathway Program. This program sets students up for success by preparing them with a career-oriented curriculum before going to college. ● Ashford – Shea Homes: Ashford in Mountain House is one of our unique additions to Hansen Village. Two of these individually-designed floorplans offer a multi-generational living suite, which will make the perfect home for grandparents, visitors, or rental income. Suite homes have generous kitchenette, bed, bath, and living spaces. ● Wellington – Richmond American Homes: Wellington offers four spacious plans with up to seven bedrooms and hundreds of exciting make-it-you-own options such as secondary living spaces for extended family members, located in Hansen Village. ● Sundance II – TRI Pointe: These thoughtfully designed Cordes Village homes are built for comfortable family living. You’ll find custom homes tailored to your family’s every need, combined with forward-looking designs that maximize space. ● Cascada – Woodside Homes: Located in Cordes Village, these two-story solar homes range from 2,551 to 3,053 square feet with expansive backyards perfect for playing with the children or entertaining. ● Savannah II – Signature Homes: This quaint neighborhood in Cordes Village has floor plans ranging from 1,966 to 2,324 square feet. You will love creating meals in the gourmet kitchen, complete with granite islands and stainless-steel appliances. 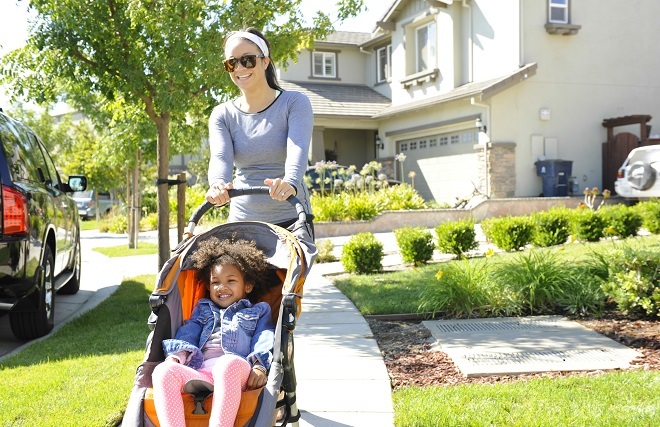 ● Inspirato – Richmond American Homes: Our Cordes Village Inspirato homes are located conveniently close to community schools and parks so that you and your family get the best of all worlds. You can also choose from a wide range of inspired floor plans. ● Oliveto – Richmond American Homes: Our newest addition to the lineup of Cordes Village homes offers four spacious plans ranging from 2,120-2,620 square feet. Each floorplan is customizable, meaning you can tailor your home to fit the needs of you and your family! The flexible space offered in Oliveto can be upgraded to a private casita! We want you to have access to everything you need from our community. Whether you need to do a quick pick-up of household conveniences at our local Wicklund Market or take the family to a movie and dinner, both Hansen and Cordes Villages are within 15 minutes of a wide range of accommodations. These include West Valley Mall, WinCo Foods, Cinemark Movies 14, Tracy Golf and Country Club, Applebee’s, Target, The Home Depot, and Costco. Because we know you care about your health, you will also find Kaiser Permanente Women’s Health and Sutter Tracy Community Hospital nearby. Want to experience our villages in person? To find out more about buying your dream home in Mountain House, call or text (209) 221-6319 or use the button below to send us a message. Don't forget to grab a copy of our Village Map to use as your personal tour guide in Hansen and Cordes.